I am delighted that my book written with Steve Levinson and published by Perigree books (Penguin Random House USA) is now available for pre-order on Amazon in the UK and USA. 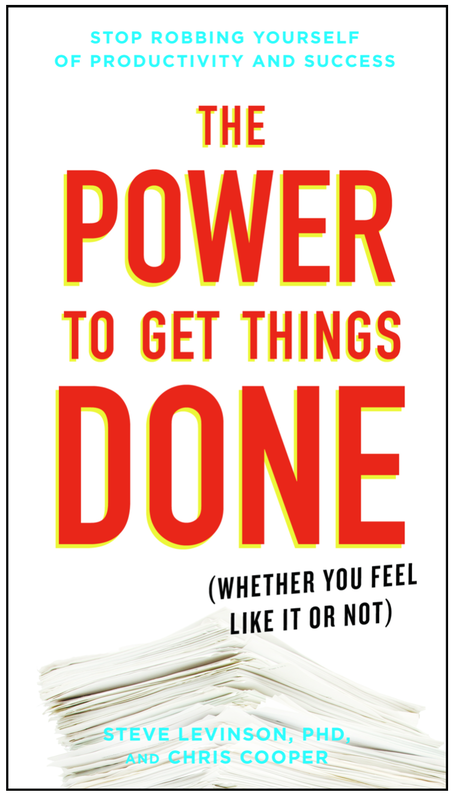 I look forward to this book helping anyone who ever struggles to get the things done that they need to in order to achieve more. Whether you run your own business or work for someone else, you’ve probably got a lot on your plate. Unfortunately, much of it may not be all that appetizing. Along with the portion of your work that you truly feel like doing comes a generous helping of things you’d rather not do. As consultants, Steve Levinson and Chris Cooper have seen countless clients struggle—and often fail—to do the many success-producing things they know they should do but don’t feel like doing. • simple but powerful principles and strategies that will make it easy for readers to solve big problems quickly.